The National -- The UAE’s first fully electric bus is now in service in Abu Dhabi — and passengers can ride it for free for the next few months. The Eco-Bus, launched by Masdar, is serving a six-stop route between Marina Mall, Abu Dhabi Central Bus Station and Masdar City. The bus has been added to the city’s Department of Transport’s fleet and has been extensively tested to check its performance. Authorities hope it will help the emirates deliver on its sustainability targets. It will be free for passengers until the end of March. 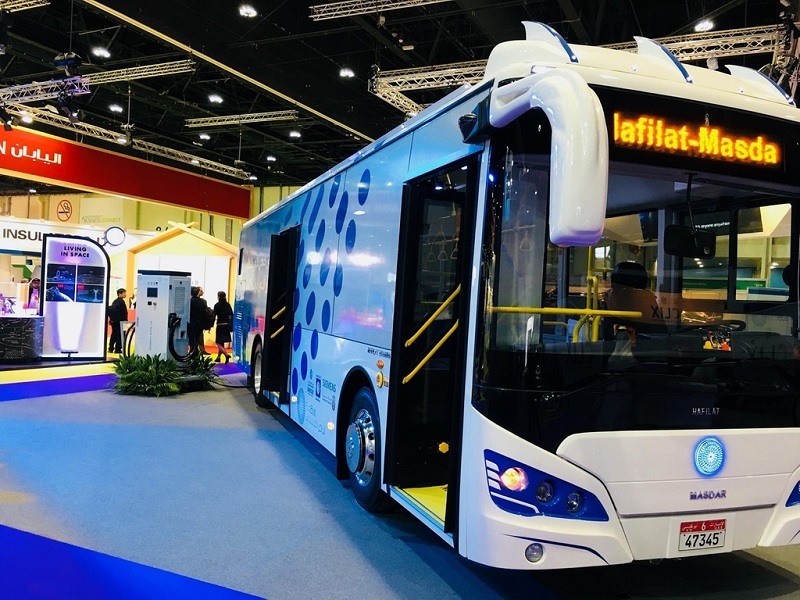 “The launch of the Eco-Bus is a milestone for the UAE in a number of ways,” said Yousef Baselaib, executive director for sustainable real estate at Masdar. With 30 seats and a range of 150km per battery charge, the bus also uses solar panels to help maintain its charge. It has been designed to withstand the UAE’s hot and humid climate, which can often prove a challenge for electric vehicles. Driven by a Siemens traction system, the new bus is said to be highly efficient, quiet and virtually maintenance-free. “This technology has been proven around the world and we’re pleased to be bringing it to the UAE for local innovation in efficient, sustainable transportation,” said Uwe Troeger, senior executive vice president at Siemens Middle East.